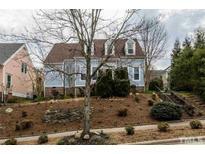 Below you can view all the homes for sale in the Southern Village subdivision located in Chapel Hill North Carolina. Listings in Southern Village are updated daily from data we receive from the Raleigh multiple listing service. To learn more about any of these homes or to receive custom notifications when a new property is listed for sale in Southern Village, give us a call at 919-759-5770. Some have finished rooms on lower level -- this one is unfinished & used for storage. MLS#2249183. 132. Walk to schools, shops and park. MLS#2248567. 238. Features include: *first floor master *2 flex spaces on the second floor *large secondary bedrooms *detached 2 car garage *landscaped lot *walkable neighborhood *community pool! MLS#2246619. 4542. S. Village not only offers amenities, but has it's own downtown complete with grocery store, restaurants, a movie theater & more! Showings start 4/4 MLS#2246103. 62. Loft style living minutes to UNC and Hospital in Southern Village boasting great restaurants, shopping , farmers market and just about everything you might need. Property has good rental history. MLS#2245166. 266. Lounge w mates on lush patio+firepit, fountain, pergola, string lights, play area. “It’s Brilliant, Dahling!” MLS#2244078. 150.
feet unfinished 3rd LVL with vaulted ceilings can be used for storage or finished to your desire. 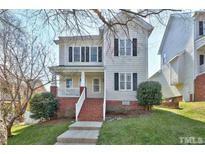 MLS#2242900. 4752. Versatile spaces from theatre and hobby or game room, to third floor bonus - make it yours! MLS#2240590. 2770. Rear Deck overlooks very private Back Yard. MLS#2240826. 58. Invigorating .2 mi to pool, courts, field; .7 mi to Scroggs, .5 mi to Culbreth, just over 1 mi to Carrboro HS; .5 mi to Market St dining, shops, grocery, services, theater. MLS#2228950. 150.